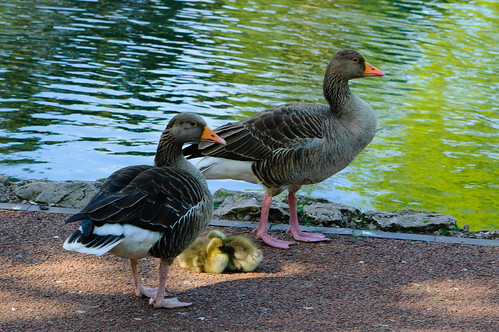 More pictures of the West Park pair of greylag goslings in yesterday’s post, together with their protective parents. When I arrived, the goslings were curled up together, napping on the path by the side of the pool. After a couple of minutes they woke, briefly pecked at each other’s down, then moved towards the water.